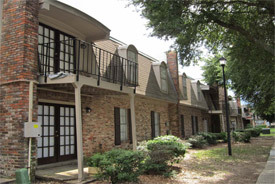 NMI purchased this 244 unit apartment property located in Montgomery, AL in October of 2010. The property was originally constructed in two phases; 1972 and 1982. NMI acquired the property from Fannie Mae following a judicial foreclosure. The property was 60% occupied and in substantial disrepair, including 60 down units and multiple fire damaged buildings. NMI has completed its repositioning and renovation work and the property is performing better than forecast.